The team at GoChain is bringing their private, scalable blockchain offering to Microsoft Azure. 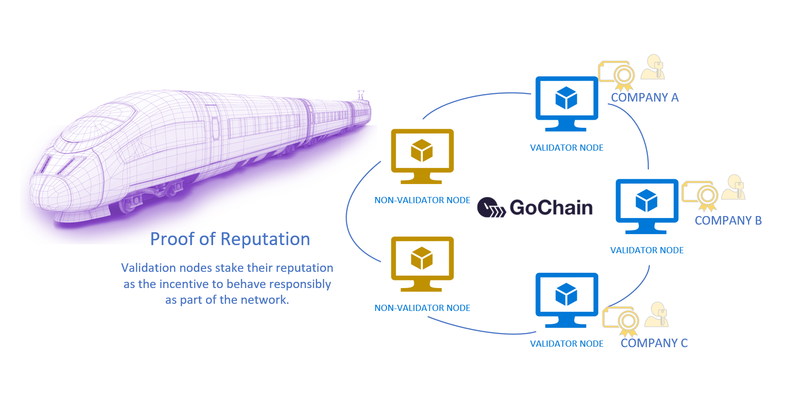 GoChain is a smart contract blockchain based on a go-ethereum code fork, with changes to protocol and consensus model primarily to increase the transaction speed of the network. This is acheived through core protocol changes as well as the introduction of Proof of Reputation consensus mechanism. This function similar to the current Proof of Authority based models in that verification of blocks are controlled by validation nodes agreed upon by the consoritium. GoChain is an Ethereum compatible blockchain which enables enterprise customers and developers the ability to build and deploy decentralized applications and smart contracts. With this compatibility, existing Ethereum assets can be reused with little changes require, such as solidity based smart contracts. Enterprises are looking for blockchain solutions that allow them to take advantage of core blockchain attributes such as immutability, strong digital signatures, and distributed architecture. However, they have needs that differ from public based chains in that they have controlled participants on the network. Solutions such as GoChain allow this type of deployment. An area that the team at GoChain has been focused on is enabling a more friendly option to upgrade existing smart contracts. Smart Contracts are immutable by the very nature of protocol. While this leads to a strong assurance and trust model, enterprises are asking for patterns to upgrade existing deployed contracts. A few options have emerged, however GoChain is working on a model that moves functionality such as the ability to pause a smart contract from an inherited library or contract to the protocol level. Additionally, enabling a better governance model around upgradability rules via a voting mechanism is another enhancement the team is enabling. GoChain is targeting January 2019 for this update. Prioritized peer broadcasting to authorized signers. Archive/backup of chain data off-node to cloud storage. Check out the free offering in the Azure Marketplace.